The 2016 golf tournament raised $5,500 each for Lisa Werner and the other two recipients, Levicia Kirvin and Jamie Allen. Awesome!!! 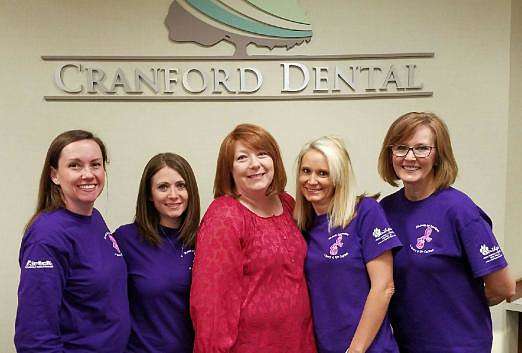 A special thanks to Judy Murray who encouraged Cranford Dental to participate. 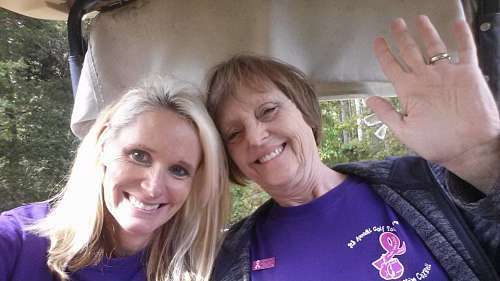 At Cranford Dental we are fighting with Lisa Varnadore Werner against breast cancer. Lisa’s fellow workers and friends have surrounded her with love, support, and prayers since she was diagnosed in April, 2016. 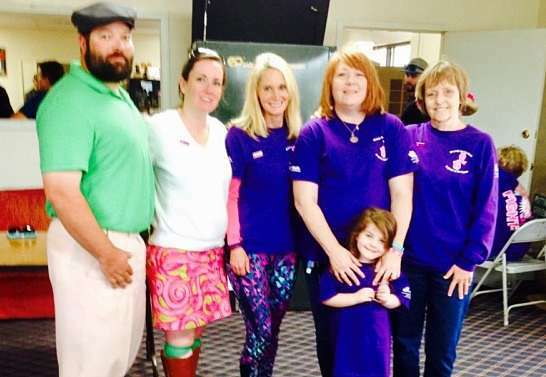 Dental hygienist Judy Stone Murray provides this information on the “Fight Like a Girl” golf tournament, which will benefit Lisa and others in our Rock Hill community. October is Breast Cancer Awareness month. 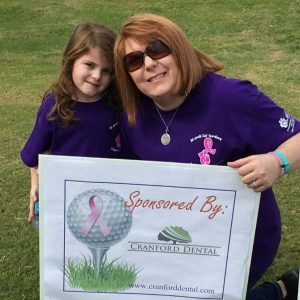 Each October Cranford Dental helps sponsor the “Fight Like a Girl” Golf Tournament (in memory of Kim Coxwell). The tournament is different from other events that raise money for cancer in that all proceeds go directly to individuals who are fighting Breast Cancer. This year Lisa, Levicia Kirvin, and Jamie Allen will each receive 1/3 of all proceeds to help with loss of wages and devastating medical bills. This tournament is special to me because my daughter was one of the recipients in 2011. 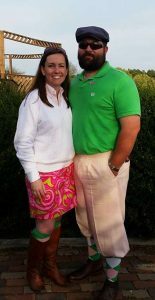 This year’s benefit golf tournament will be held at Pinetuck Golf Course in Rock Hill, SC on Thursday, October 27, 2016. Shotgun start at 9:00 am. If you would like to donate services or items for auction, serve as corporate sponsor ($200) or hole sponsor ($100), or make a charitable donation towards the tournament, we welcome the support. Make checks to “Fight Like a Girl Benefit” and mail with above form or contact one of the sponsors below. Also let us know if you would like to purchase a tournament tee shirt. 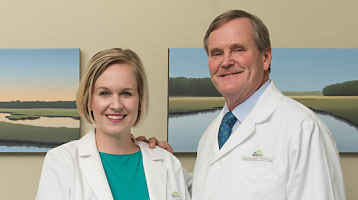 Lisa Werner grew up in Rock Hill. She has three children, Luke, Olivia, and Caroline. Caroline is four years old. She also has an adorable one year old grandson, Nolan. Lisa is beautiful and such a warm, nice, friendly lady. 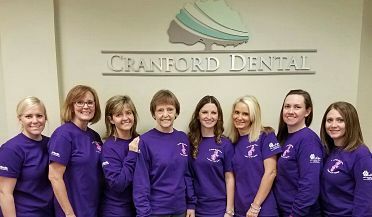 At Cranford Dental we are glad we can support Lisa in her fight. We plan to help her win!